What is the secret of your slimness? The reason is simple diet. I bid bye to all the white colored food items. I also said good bye to all fried and oil items. I started eating small quantity of food at the specified time. That is how I have got the super shape. In Vettai Mannan you are acting with Simbhu. How was it? Many were telling that Simbhu was a problematic person. People who do not understand him have the opinion like that. Simbhu is an all rounder. To say the truth, he is a damn cool person. You are always getting entangled in rumours? It is wrong if there are no rumours. You are very generous with your glamour? Beauty is there to be celebrated. People who come to see the film should not alone appreciate our acting but also our beauty. That is the recognition for an actress. One KS Nagaraj , proprietor of Vinmeen Creations has sought a stay on the shooting of Vikram's Karikalan. 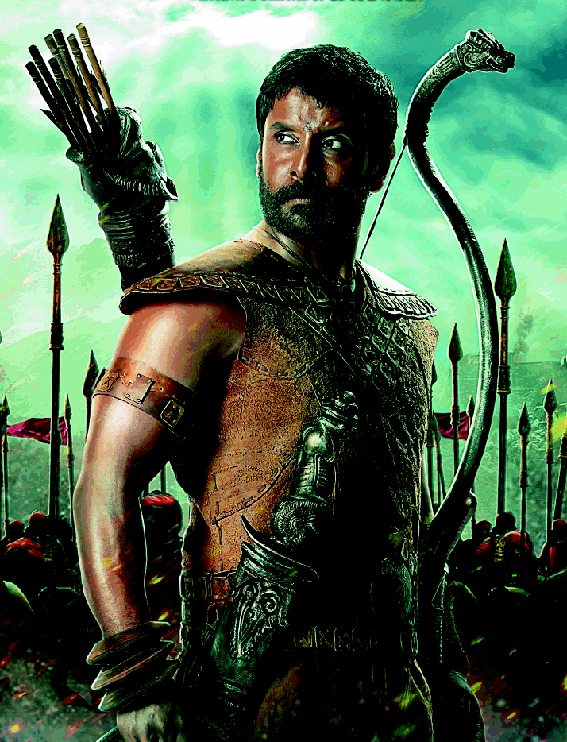 A Chennai civil court has issued notices to four parties including Vikram on a petition filed by KS Nagaraj, who said he had the "pre-emptive rights to the title and the story of the film". The petitioner says while he was in school he became interested in the history of the Chola emperor Karikalan who built the first dam in the country. In 1991 he began working on the script based on the king's life. And in 1994 he registered the title of the film with the South Indian Film Chamber of Commerce. He spent around Rs 10 lakhs mobilising funds for the project, but it did not take off. The matter is to come up on January 12 at the 15th assistant city civil court. Shriya became popular by pairing with Rajni. She was also leading actresses in Tamil and Telugu film industries. But in the recent times she has no films in her hand. The last Tamil film she had acted was Rowthiram. There was news that the producers are not signing her for their films since she has lost her market. When asked Shriya about this, she said, "I am in cinema for the last 12 years. I have earned a name that I will act in any role given to me. There is no truth in the news that I have lost the market or I don't have films in hand. When I was new to cinema, I accepted all the films that came my way. I also acted in few of the films because of the proximity I had with the producer or the director. Now I have become financially strong. Now it is not necessary for me to act in all the films. I have decided to act in the films that have good stories. Many are spreading rumours because of this. In some of the films I continue to dance for a single song and also busy participating in the functions." It has been decided to release the film Kollaikaran which has ' Myna' Viddarth in the lead role. This film has joined Vettai and Nanban in the Pongal race. This film which has been produced under the banner Prasad Cine Arts has been directed by Tamil Selvan. Tamil Selvan had been the associate director of director Seenu Ramasamy. Viddarth, Sanjitha Shetty and Ravi Shankar have starred in this film. A L Johan has composed the music for this film. This film is about a youth who involves himself in small immoral things rectifies himself later on and tries bring changes in the society. The shooting of the film had taken place in and around Kumbakonam. The director says that this film speaks about the lives of the village people with the backdrop of comedy and love. The new trend of movies in Telugu film industry started with 'Happy Days' that had a wonderful reception even amongst the non-Telugu speaking territories. Apparently, it paved way for making more movies off that sort. However, 'Vinayakudu' became a trendsetting movie in both the aspects of critical acclaims and box office collections. Vinayakudu boasts of a cool story revolving around a fat person and a beautiful girl. They have strong likeliness for each other and the complete story is narrated in an entertaining manner. The film has Krishnudu and Sonia in lead roles with Sai Kiran Adivi wielding megaphone. The film has been dubbed in Tamil as 'Vinayaga' and Santhanam's comedy tracks have been added to it. It is worth mentioning following the success of 'Vinayakudu', the makers went ahead with another film 'Village Lo Vinayakudu' that was yet another blockbuster. Saranya Mohan starred opposite Krishnudu in female lead role. 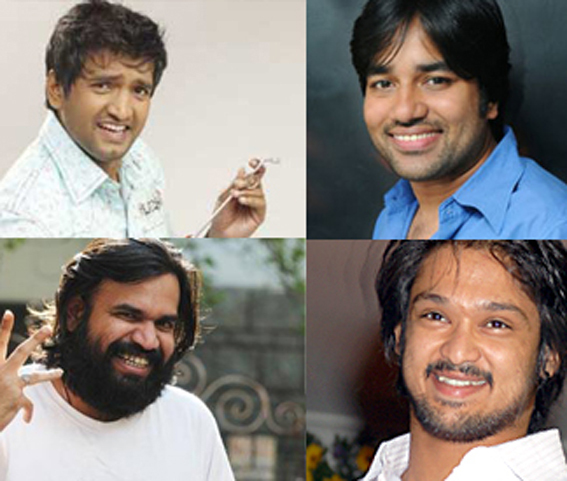 The artists started their venture in showbiz through Vijay TV have always been successful with their venture. It all started with Santhanam, who through his comedy shows became famous and an overnight success in films. Following him is Jeeva from the same show 'Lollu Sabha', who is now making his debut in films. 'Madhuvum Mythiliyum' will mark his onscreen debut with Aarthi starring opposite him in female lead character. Srikanth Deva has scored music for the film. The makers feel elated for their movie being the first one to release in 2012. The year 2012 looks promising for Vijay. For a change, the Kaavalan star preferred noted filmmakers to young directors. As a result, the actor has three movies, which are directed by the best names of the Kollywood, in the current year. Here, we are trying to give a glimpse of his forthcoming movies. First on the list is Nanban directed by ace filmmaker Shankar. The movie, which is releasing for Sankranthi, has generated a lot of curiosity from the day it hit the floors. The multi-starrer film is a youthful entertainer, which is a remake of Bollywood blockbuster 3 Idiots. The Tamil film shows him in a college student avatar and he is all set to impress the audience with his comedy-filled movie. Thupaki, as the title says, is an out-and-out action drama. The movie made by AR Murugadoss has attracted the mass audience, as the action genre is tailor-made for Vijay. The movie tells the tale of an ordinary man's journey to Mumbai, where he sees himself as a don to rule the underworld. The movie, which also features Kajal Aggarwal, has started the shooting and expected to hit the screens in mid-2012. 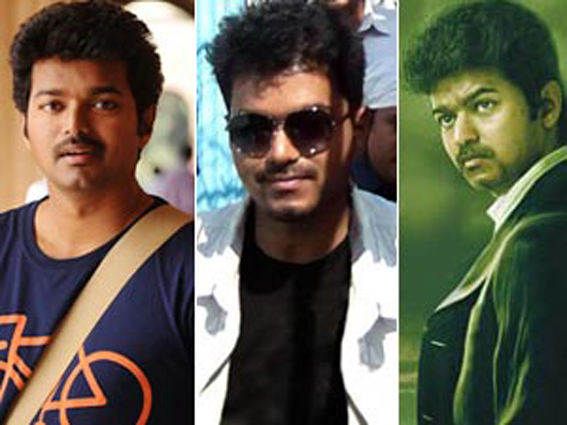 Vijay is playing a contrasting character to his above mentioned other roles in Yohan: Adhyayam Ondru. The Ilayathalapathy will be enacting the character of an undercover agent in the action-thriller directed by Gautham Menon. The major part of the shooting will be shot in abroad and the regular shoots are expected to kick-start in late-2012. The movie has AR Rahman's music and some of the best Hollywood technicians will work in this project. This might be the hot news for all comedy movie lovers. PT Selvakumar who has worked under KS Ravikumar and A Venkatesh for nearly 100 films as a assitant director, part-producer and distributor is also the PRO of Ilayathalapathy Vijay so far, now he is ready to rock as a director. PT Selvakumar will be bringing up this laugh riot combo RJ Shiva, Santhanam, Nakul, Premji Amaran together in this untitled project which is going to kick start soon. Kollywood circles are sure that this ambitious person PT Selvakumar is sure to mark his presence in Tamil film Industry. Jeeva has been finding the right actresses as his onscreen pair in almost all his movies. The actor has picked up an unique choice when it comes to heroines. Say for instance, his previous movies 'Singam Puli' (Divya Spandana, Honey Rose), Ko (Karthika), Mugamoodi (Pooja Hegde) and Neethaane En Ponvasantham (Samantha) can be considered as the best illustration. The actor now gets the most top-charting actress to share the screen space. She is none other than Trisha and it's for the untitled film to be directed by Ahmad. Earlier around 5 heroines were under consideration and Trisha is the lucky one to get signed.